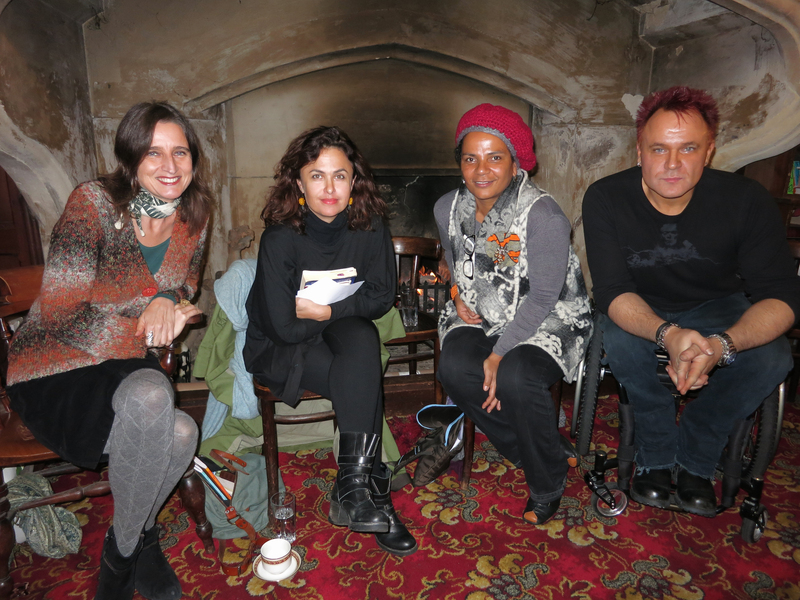 One of the most exciting tasks of my Fabrica Gallery residency was the opportunity to curate the event Sea Changers, bringing artist-activists Selma Dabbagh, Akila Richards and Mik Scarlet together this past Saturday in the Fisherman’s Vestry at Brighton’s St Paul’s church. It was an intimate evening in a dramatic gothic nook: an antiquarian book-lined vault, its high peeling walls hung with suffering icons, the vestry was designed to allow fishermen to dry off before service and features a whale’s maw of a fireplace. The warden lit the gas coals and, warmed by the blue flames rippling behind us, Selma, Akila and Mik responded creatively to the theme of the sea, and discussed the need for ‘sea changes’ in their various realms of engagement. Though when it came to political discussions the theme of backlash often felt more credible than slow progress, and outside the church walls Brighton proved openly hostile to Mik, the evening’s dynamic interactions left me buoyed by faith in the power of art and community to overcome all and any such challenges to our ideals. British-Palestinian fiction writer Selma Dabbagh began by discussing her various responses to the Israel-Palestine conflict, which she described as, after this summer’s seven week bombardment of Gaza, worse in terms of sheer devastation than it has ever been. In reference to the sea, Selma spoke of those activists and members of the British public who had felt moved to join the 2010 Gaza Freedom Flotilla. Aiming to bring humanitarian aid to the besieged population of Gaza, the flotilla was brought to a blood-soaked halt when Israeli commandos boarded the vessels in international waters, opening fire on passengers and killing eight Turkish and one American activist on the Mavi Marmara. If events of that night are still disputed, one can thank Israel for confiscating all activists’ laptops and cell phones: an action Selma described as bringing new depths to the term ‘media blackout’. 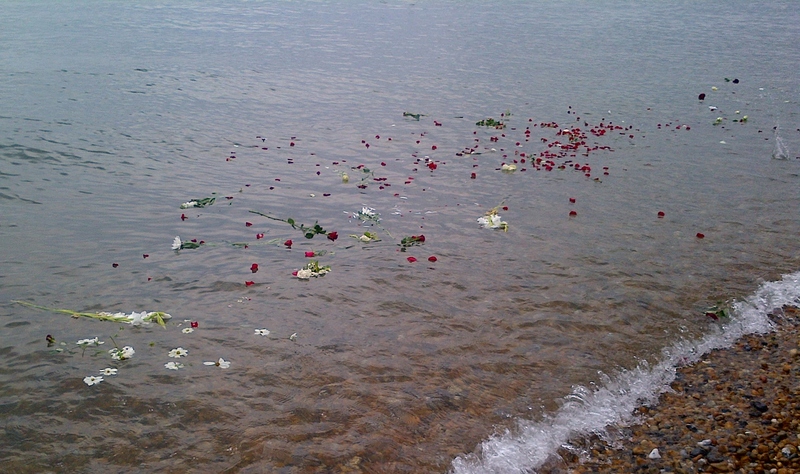 As she spoke of those terrible events at sea, I thought of Brighton’s seafront vigil for Gaza this summer, demonstrators bringing red and white flowers to offer to the waves in memory of the dead. As a Palestinian, her life shaped by exile and dispossession, Selma channels some of her personal responses to the conflict into her fiction, believing that art can be like a current that runs alongside political activity – deepening its impact, but also drawing in people who might not be particularly informed about a particular issue. In her fiction Selma hopes to reach average readers and the incurious as much as activists; increasingly, draft after draft, she seeks to ‘remove the message’, and allow characters’ personal dilemmas to express the tragedy and injustice of their political situation. She read us a short passage from her gripping noir drama Out of It: the young Rashid heading along the beachfront in Gaza, caught up in a crowd of people fleeing drone and Apache attacks. Unlike his political family, Rashid simply wants to escape the violence – to get ‘out of it’ in a haze of pot smoke, a scholarship to London, an affair with an English girl; his frustration at being forced to shoulder his people’s historical burden is not a predicament previous generations of Palestinian artists have been encouraged to explore. In Selma’s view, perhaps the only positive effect of the Oslo Accords was to bring Palestinians greater opportunities to express themselves creatively, defying the pressure to cut their narratives from the cloth of ideological certainty. If the fighter always has to be victorious in the end, she noted, the number of story lines available is rather limited. As indeed they have been for the Palestinians: despite increasing international impatience and outright disgust with Israel, any political sea change feels very far from that still besieged shore. Ending on another tentatively positive note, though, Selma mentioned the recent growth of support for the Boycott, Divestment and Sanctions (BDS) movement, and also observed that Palestinian culture is coming to be characterised by a new openness including cultural initiatives. She talked about visiting the Qattan Foundation in Ramallah last summer, where the Literature Programme director told her that the number of submissions of unpublished novels had increased from 10-12 in previous years to 26 that year, with altered themes including a stronger focus on the personal and more overt criticism of political leaderships. An audience member spoke in response of her involvement in Brighton’s public sewing project for Gaza, Remaking Picasso’s Guernica, bringing home the point that the Palestinians’ cultural work is not a message in a bottle, but part of a global movement raising awareness of their plight. Next, writer and performer Akila Richards presented her short story ‘Be Longing’, written for the evening and set on Brighton beach. Of German-Liberian heritage, Akila writes about the UK with the astute eye of the outsider, yet hers is never a coolly critical vision; rather, her spellbinding performances draw audiences into the warm circle of her compassion, humour and sensual grace. ‘Be Longing’ concerns a group of Birmingham church goers travelling by bus to Brighton to pay homage to their African ancestors in a sea immersion ritual. Praying on the beach in their long white robes, the congregation is interrupted by a young woman, drawn to their striking togetherness and yet also challenging it – her Buddhist chants growing louder and louder, her cheeks redder, her gesticulations wilder, until her blue dreadlocks are lashing the church members’ arms. 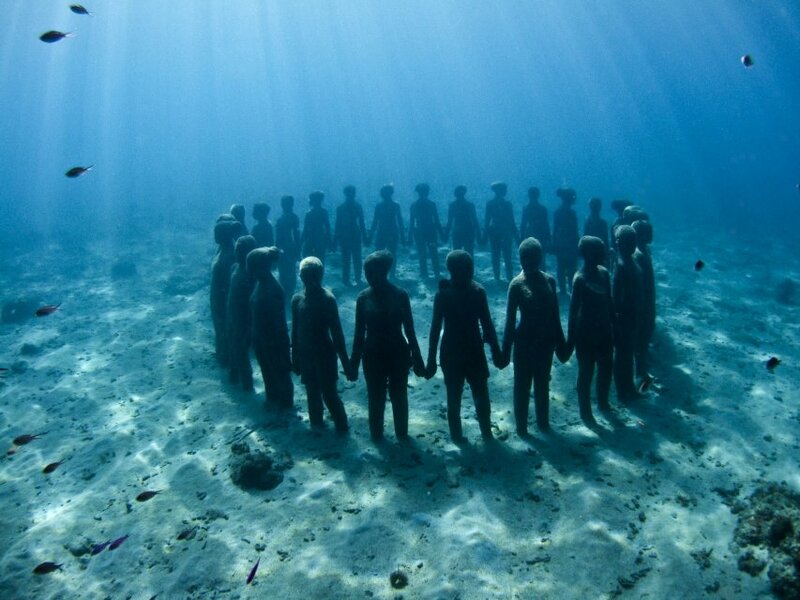 Akila told the story with exquisite control of voice, movement, silence and image: her performance was accompanied by slides, archival images of African American river baptisms, a head of long, sun-flung locs, and then – as the congregation moves into the sea and the story comes to its poignant conclusion – images of underwater sculptures by Jason deCaires Taylor. From prior conversations with Akila I knew that one, Vicissitudes, is located off the shores of Grenada, and has been interpreted by many viewers as an homage to the West Africans who jumped or were thrown from slave ships travelling to the Americas and the Caribbean. The images quietly faced us with a deep ancestral wound. Being present for ‘Be Longing’ felt like experiencing the birth of a new genre from the waves: not simply a story, but a spoken word, multi-media, collective meditation. That Akila’s powerful creativity is charged with a measure of simmering anger was clear in her later discussion of the lack of ethnic diversity in mainstream UK arts and media, a subject she understands inside-out, both as a black artist and a former Arts Council England employee. Not only has change not occurred, she informed us, we have also gone backwards: she has moved from feeling absent in mainstream cultural institutions, to feeling downright offended by them. I know of Akila’s firm opposition to Exhibit B, the controversial installation intended to critique historical and modern slavery, but cancelled after protests calling for a boycott of its presentation of silent black actors in cages and chains. In contrast, her story approached the theme of slavery with tact and a potent sense of changes wrought by time’s passage. The brief image of the white girl’s whipping dreadlocks created uncomfortable echoes of historical violence, but at the same time her characterisation also expressed the desperate isolation of someone seemingly ‘at sea’ in the world, to be pitied and embraced more than feared. Though I didn’t support the Exhibit B boycott, I followed both sides carefully and it seemed me the conflict escalated to due to the Barbican’s fundamental lack of engagement with the protesters. In ‘Be Longing’ the congregation chants a long list of the names of the dead, going back generations; Akila’s words and images demonstrated that ‘the ancestors’ the protestors were defending are not an abstract concept to many Black British people, but a real presence in their lives. Finally, I was struck by the gift of Akila’s story to Fabrica Gallery and Simon Faithfull: as though in a call and response, she had replied to REEF with a resonant artwork that stretched from Brighton Beach to the other side of the Atlantic – Jason deCaires Taylor’s sculptures, like Faithfull’s new work for Fabrica, are intended to form artificial reefs, both to encourage the growth of marine life and to create diversions from endangered coral reefs. Akila’s performance had established a cabaret feel to the night, which I’d hoped broadcaster, journalist and musician Mik Scarlet could amplify. Mik’s plan to play us a few songs was scotched by muppets and gremlins when the new keyboard he’d ordered online was posted, not to him, but back to the manufacturer . . . instead he regaled us with tales of his life and times as a ‘born and made’ disabled person, sea-doggedly working my aquatic theme into his wide-ranging raconteurship (see, it’s catching). Mik conjectured that he was conceived in Brighton, where his parents used to come in the early sixties, not as Mods but ‘moderns’ – jazz lovers and snappy dressers whose world was dramatically changed when Mik was diagnosed at six weeks with an ‘incurable’ cancer: a tumour so large it was already pressing out of his body. His stunned parents had thought it best to ‘let him die’, but doctors refused, placing him on the trial of a drug that went on to save many lives, a fact for which today he takes just modest credit! For the miracle of Mik’s survival makes his early band name ‘Scarlet Messiah’ entirely understandable: even when the cancer went into remission doctors thought he would only live five years, but he continued to defy the prognosis, imbued by his mother with the sense that he could overcome any challenge, including a paralysed right leg and the chronic pain he still experiences. Nevertheless, he was not fully prepared for the next challenge to come. When at fifteen his spine collapsed and he became a wheelchair user, for a short time he contemplated suicide. But he could not imagine letting his mother find his body and, instead of killing himself, Mik dyed his hair red and embarked on a rambunctious and highly successful career in music, TV and radio, winning both an Emmy and the Best Children’s TV presenter award, and marrying his musical collaborator Diane Wallace in the process. Mik also discussed his disability rights activism, first noting that access in Brighton was extremely poor: though he was very forgiving about the narrow church toilet, the scarcity of disabled parking spots in the town centre had really irked him. He spoke too about his passionate opposition to assisted dying: when disabled people have equal access to life, he argued, then we can talk about giving us all equal access to death. To illustrate, he told us about a friend of his who, with the closure of the Independent Living Fund, had just been stripped of her live-in personal assistant, meaning that overnight she went from being someone with a job she loved, to being unemployed and imprisoned at home, isolated with no realistic prospect of regaining her independence. Under those conditions, anyone might feel depressed enough to want to end it all. Although the subject is a hot topic, the night was not a debate, but an opportunity to contemplate different perspectives, and allow them to enlarge our understanding. The response of one audience member, the relative of a young boy with learning disabilities, suggested that Mik’s resolute emphasis on dignity and equal rights in life rang true for her. Like Akila, Mik was scathing about the lack of diversity in British public broadcasting. From his days at the BBC he also had an explanation for the backslide. After successfully setting up Disability and Ethnic Minority Programming Units in the eighties – colleagues who often collaborated – as the nineties ended the BBC decided to ‘integrate’ minority groups into regular programming. The disabled presenters and producers were, in fact, Mik told us, ‘integrated into the dole queue’. Here Akila joined his conversation, both finding common cause, and common fault with management structures: as Akila said, she didn’t just want to see her face on screen, she wanted to sit in the director’s chair too. The Sea Changers event was another high water mark of the year for me. For a few hours a genuine current of concern for each other and the world had moved between artists and audience. Somehow, we all felt enlarged, heard, transformed by a sense of shared purpose. Perhaps the event was just a drop in the ocean, but it shone like a diamond. Sunday, however brought a rude jolt of reality. Out in Brighton’s Lanes Mik and Diane encountered not only inaccessible new buildings, but myriad hostility from passers-by, behaviour ultimately so baffling and infuriating they left the city before noon. I felt ashamed of Brighton, its trendy veneer masking such antiquated attitudes and architecture, and when Mik offered to lend his support to local groups challenging these dire conditions, I was glad that Akila and I were able to make some such connections for him. For that was the precise purpose of the evening: to allow talk and art to meet action. I’m now dreaming about holding more Sea Changer events, involving as many artists and activists as possible. Watch this space! With thanks to Fabrica Gallery for hosting, Jonathan Swain for stage managing, Diane Scarlet Wallace for permission to use her photo of the speakers, and Mik Scarlet for his reflections on the evening for the Huffington Post. The photo of the disability rights protest comes from the blog of Jeffrey Preston. After all my musings on the astronomical and astrological Neptune, it was fascinating to explore the sea god’s literary lineage in two evenings at Fabrica Gallery this month, the first dedicated to poetry, the second to prose. Though Neptunian themes of illusion, fear, chaos, spirituality and transcendent beauty overlapped both nights, the poetry I found mainly explored submerged and interior worlds, while the prose pieces I chose also took us out into the heavens. Let’s begin with the poems. Help those who sail upon the sea in ships. Is this really a hymn to wishful thinking, Neptune’s powers of illusion, the remarkable human ability to see what we want to see in difficult people or tyrannical autocrats? Or did Poseidon in fact harbour a secret tenderness for us poor humans he had lost by the time the Romans got hold of him? Classicists, please enlighten us! All of it ― as a single shining apparition. Burns over the silent sea. A small but rich poem, in two deft strokes ‘Convoy’ alludes to both Shakespeare’s Full Fathom Five and Auden’s ‘The Old Masters’, which famously ends with the image of a ship sailing serenely past the drowning Icarus. Causley’s three ships evoke the joyous Christmas carol, triumphant vessels that, in the poem, may have survived a human tragedy but in the cold eyes of commerce or war arrive complete. Or perhaps the paradox suggests something more consoling – the acceptance of loss, and the renewal of faith in life’s abundance after a harrowing bereavement. Emotional loss was also the subject of the night’s last poem, Sylvia Plath’s ‘Lyonnesse’. We discussed the complex nature of the Lyonians’ god – no lusty Neptune, but a bored, cerebral giant, lonely and weary, in a moment of sensual langour abandons those who, the poem’s opening lines suggest, depend on him for their very existence. While compelled by the poem’s mythological grandeur, and not wanting to sink into a shallow autobiographical reading, we also wondered if it might be possible to interpret it as a metaphor for a family governed by a self-absorbed, absent father. Two Plathian scholars give their view here, but I’ll leave you with the poem, and perhaps, like me, with a desire to visit the Seven Stones reef between Cornwall and the Isles of Scilly, said to be the site of a beautiful land with 140 churches, lost to an earthquake and tsunami on the night of November 11th, 1099 . . .
No use whistling for Lyonnesse! Sea-cold, sea-cold it certainly is. And the spidery water-dazzle on field and street. Over the English cliff and under so much history! In his cage of ether, his cage of stars. He’d had so many wars! The white gape of his mind was the real Tabula Rasa. 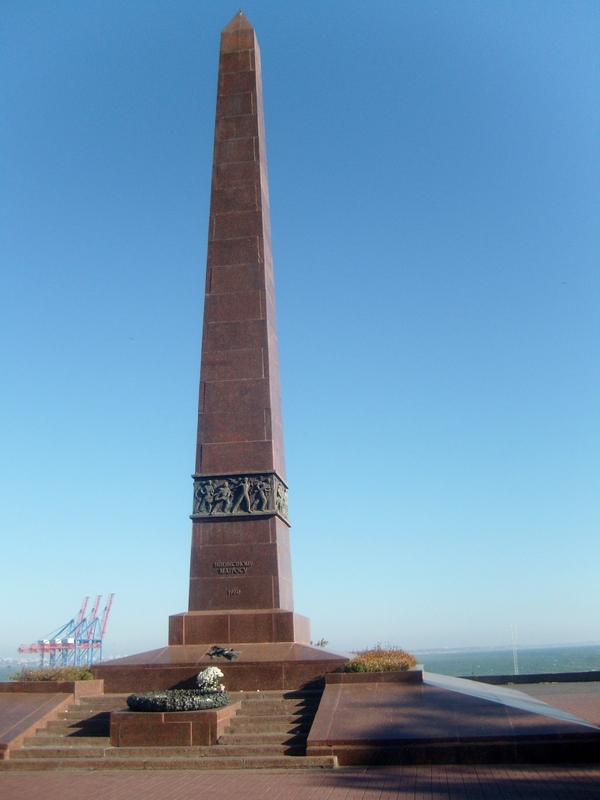 All poems copyright the writers and translators, reproduced here and at the workshops for educational purposes and free of charge. Here it is, rising from the primordial chaos of inspiration and admin: my first post as the Fabrica Gallery Artist-in-Residence for the Simon Faithfull exhibition REEF. My role is to engage audiences with the themes of the exhibition; to write a blog and curate events that will ‘work with ideas of the sea as a metaphor for emotion, the imagination and psychological space.’ For those who don’t know me, I am a poet, science fantasy novelist, professional Tarot card reader and part-time activist for a just peace in the Middle East, and the potential of the brief to dissolve the boundaries between these various aspects of my life intrigues me more than I can say – though I will have a go! 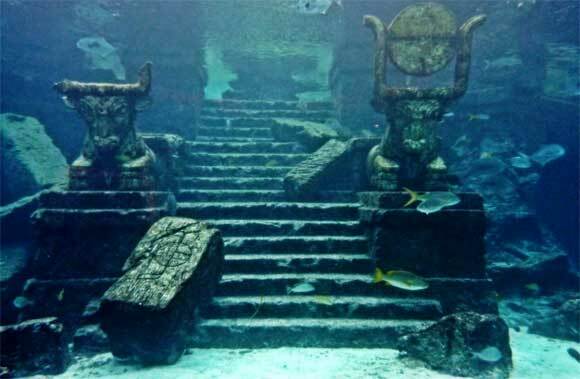 As a poet I have used images of the sea to express deep, recurrent emotional states; as an SFF writer I am drawn to the magical hidden worlds of Atlantis, Lyonnesse and Solaris, Stanisław Lem’s compelling vision of a planetary ocean of repressed memories. As a Tarot card reader I work with the sea as a symbol of boundless creativity, of sensitivity, vulnerability and passion. And, finally, as a human rights activist I am concerned with the possibility of political, cultural and personal ‘sea changes’: fundamental shifts in perception and changes of narrative, opportunities for long-denied truths to emerge. The sea being a pretty big theme, I hope you’ll now allow me to entertain a big claim: in a time of climate change, renewed war in the Middle East, the devastation of Gaza, with both Islamophobia and anti-Semitism on the rise in Europe, and seemingly every day bringing another national revelation of the sexual abuse of children, institutional racism, the abandonment of the poor and disabled by a government racing to cut basic provisions and privatize our NHS – artists can make a difference. By applying our empathy and intelligence to urgent issues of justice, diversity and environmental catastrophe, and – however subtly – allying our personal vision with collective action, we can explore the complex undercurrents of social and political conflict, and, by diving deep into the human psyche, support real and lasting change. ‘Sea change’, then, has become the main theme of my residency, and its icon, for various associated reasons, the mysterious blue planet Neptune. Astronomically Neptune is cold and appropriately tempestuous – its surface racing with the strongest known winds in the solar system, up to 2100 kilometres an hour. In Roman mythology, Neptune was a god of springs, lakes and rivers, only later associated, like his Greek forerunner Poseidon, with horses, storms, earthquakes and the sea. In astrology – which can be viewed as mythology-in-motion – Neptune represents chaos, dissolution, temptation and illusion, the turbulent, overwhelming power of the sea; but also compassion, spiritual wisdom and universal love, the ocean’s pacific nature. In its movement through a chart, Neptune signifies the gradual breaking down of old psychological patterns, and the slow emergence of change for the better. 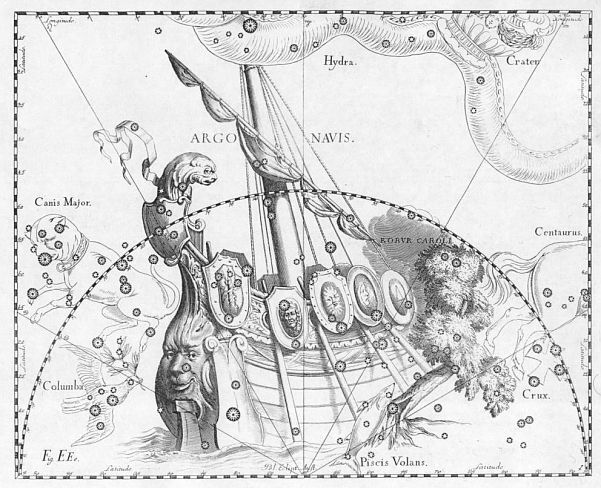 Whatever you think of astrology – and I will write more about it soon – I hope you will agree this is a worthwhile aim. A one night multi-media festival: Saturday Oct 18th. Screening projections across indoor and outdoor spaces Night Contact showcases a range of still and moving works exploring ideas of collaboration, authorship and influence in relation to the photographic image and the screen. A map outlining a visual trail across the city encourages visitors to view film and photographic works in various spaces across central Brighton. As part of the activities surrounding this event – Fabrica will be staying open until 10pm. Between 7-9pm I will be in the gallery to chat about science fiction writing, being a poet, the significance of Neptune to astrologists and my role as a tarot reader. I will be leading two creative writing sessions exploring the mythic, scientific, literary and astrological significance of Neptune and asking participants to reflect on its themes. 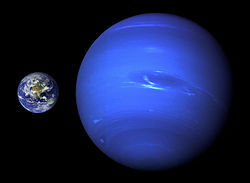 Participants who wish to learn the placement of Neptune in their chart are asked to submit their date, time and place (nearest city/town) of birth. No previous experience of creative writing or astrology is required. In front of the large open fire built to dry out fishermen before church services I will host performances and discussion from three artist-activists. British-Palestinian novelist and lawyer, Selma Dabbagh; spoken word artist, coach and diversity practitioner Akila Richards; and musician, actor, writer and accessibility/social inclusion consultant Mik Scarlet will use the theme of the constantly changing sea to present their work and to discuss the relationship between their creative and political activities. The November events are free but places are limited and booking is recommended. To book please visit the Eventbrite page, speak to a member of the gallery team, or call 01273 778646. And if I don’t see you in person, I hope to meet you online – the comments are open! 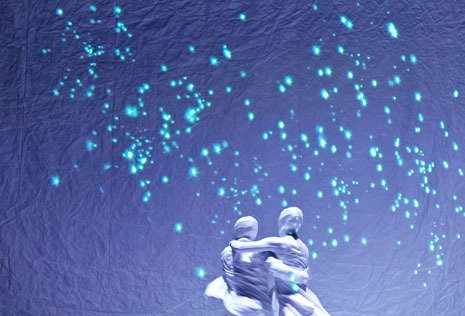 Image from The Tempest Replica, a dance production by Vancouver-based choreographer Crystal Pite, created for her company, Kidd Pivot.